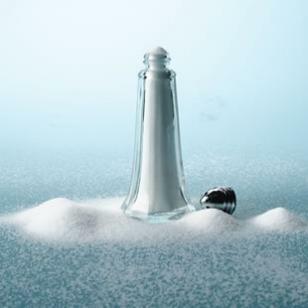 Can A High-Salt Diet Aggravate Asthma? Can eating too much salt take your breath away? Ever since the 1930s, when a provocative study found a high-salt diet worsened asthma symptoms in children, researchers have speculated that our national appetite for salt is one reason asthma leaves more and more of us breathless. Thanks to recent work by Tim Mickleborough, Ph.D., a physiologist at Indiana University’s Department of Kinesiology, we’re closer to knowing how. At the end of the two-week test period, the subjects in both groups ran on a treadmill until they were exhausted, and the team then tested how much air they could exhale. The researchers found that the people on the low-salt diet could exhale far more air than those on the high-salt diet, and they needed their bronchodilator drugs less often. They also had far fewer markers of inflammation in their sputum, indicating their airways were less constricted. The findings also showed that when people followed the high-salt diet, the oxygen they breathed was less able to move from their lungs into their bloodstreams. One reason, suggests Mickleborough, is that salt increases the volume of blood in the tiny vessels in the lungs. That forces fluid into the space between the blood vessel and the airway, making it harder for oxygen to travel across that space into the bloodstream. Bottom line: If you have asthma, you might breathe easier if you watch salt and avoid processed food (where over three-quarters of the salt we eat comes from).